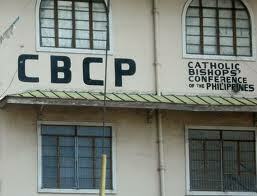 CBCP convened to it's plenary meeting discussing the controversy involving 7 of it's lucky members. and those members will appear in the senate blue ribbon committee this week. ...before we end this session, do you(lucky 7) have any words to say? they're really grilling you to death concerning that, are you ready for it? 1. "Bishop, forgive them, the senate do not know what they're doing(grilling)." 2. "Bishops(referring to the other 6 involved), next week you will be with me in the senate hearing. it's not paradise"
3. "Ms. President, behold! i'm your friend, i want something for my birthday! - that was my initial intent to the former president"
4. "Our brethren, why have you forsaken us? - We're still your brothers"
5. "I thirst! I was thirsting for a gift! It's been a long time i haven't received any - Don't i deserve one? Anyway, it was my birthday, I just want a very simple gift." 6. "It is finished! We received the money, we acquired the vehicle! how can we explain it?" The Presiding Bishop: We're ending the session. 7. "Into your hands, Lord, we commend our spirit"
Friends, malakas pa din yung kampo natin, may kapit pa rin tayo! malabo tayo makulong. umpisa lang yang senado e. makakalimutan din tayo ng mga yan!